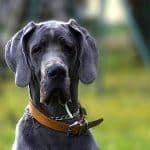 As you begin to notice grey hairs around your dog’s muzzle, you may be wondering about how best to take care of him in his old age. A variety of foods, products, and therapies are available specifically for senior dogs, but which of these are effective? And which, if any, does your older dog need? Here are some answers to your questions about supplements and care for an elderly dog, but remember that it is important to check with your veterinarian to ensure you’re giving your dog the best care in his old age. 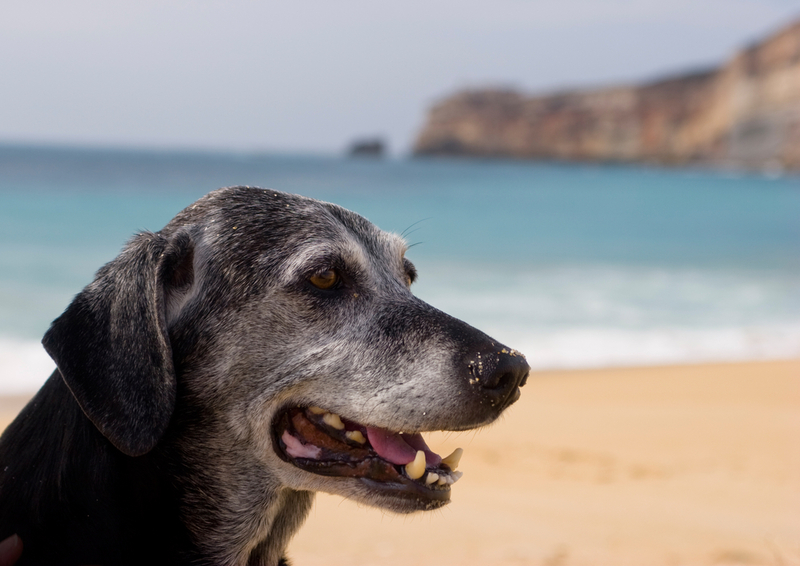 Does My Senior Dog Need Supplements? While supplements can be beneficial for senior dogs (or dogs at any age), the best thing you can do for your aging dog’s health is feeding them a high-quality diet and ensure that they get adequate exercise. 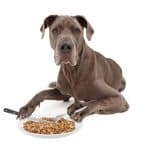 Most commercial dog foods are formulated to be nutritionally complete, meaning that because your dog eats this food every day, they are getting all the nutrients that they need. Because of changes in their metabolism and energy levels, senior dogs have different nutritional requirements than younger dogs. As your dog gets older, switch to high-quality senior dog food to ensure that their diet continues to meet their needs. You should always consult your veterinarian before feeding supplements or changing your dog’s diet. There are, however, a few cases where supplemental nutrients would likely be recommended by a vet. 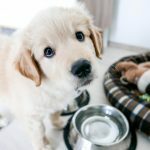 If you feed your dog a homemade diet, it is likely that he will need supplements to ensure that he is getting all the vitamins, minerals, and nutrients that he needs to be healthy and happy. If your dog does not eat enough, or is picky and will only eat a low-quality diet, supplements could help her avoid vitamin deficiencies. Supplements are not a foolproof escape from a poor diet, however, and you should consult a vet if your dog is unable, or refuses, to eat a healthy diet. If your dog is diagnosed by a vet with a vitamin or mineral deficiency, or a medical condition that responds well to supplementation. In any case, it is important to follow your veterinarian’s recommendations for your dog’s nutrition. How Can Supplements Help My Older Dog? Although most healthy dogs do not need supplements, the extra vitamins and nutrients they supply can help ease the symptoms of a variety of conditions in older dogs. The most commonly purchased supplements for senior dogs are those aimed at easing hip and joint pain and stiffness. When searching for a hip and joint supplement, look for one that contains glucosamine and chondroitin sulfate, as well as essential fatty acids. These nutrients work together to reduce inflammation and improve joint mobility. Essential fatty acids, such as omega-3 and omega-6, also help improve a dog’s skin and coat, and aid brain function, which can slow as a dog gets older. Probiotics can help a dog’s digestion, especially if the good bacteria in your elderly dog’s stomach has been killed off by illness or medication. Always remember that supplements for older dogs can alleviate some symptoms of illness and aging, but they are not a prevention or a cure. A dog with arthritis likely needs medication backed by a full clinical trial, rather than just hip and joint supplements. Be sure to check with your veterinarian before feeding your dog supplements to ensure that there is not a more serious reason for your dog’s symptoms. What’s the Difference Between a Vitamin, a Supplement, and a Medication? There are many terms being thrown about referring to dog and human nutrition alike: supplements, vitamins, minerals, medications. What do they all mean? What is the difference? The terms ‘vitamin’ and ‘mineral’ simply refer to the dietary needs of a person or animal (vitamins are organic compounds, while minerals are inorganic). These important nutrients are in most cases consumed through a balanced diet. Supplements give the consumer extra vitamins and minerals. This is important if these vitamins are not being consumed in your dog’s regular diet, or if your dog has a deficiency or medical condition that is helped by extra vitamin consumption. Supplements often fall into a gray area between food and drugs and are therefore poorly studied and regulated. They are pretty much unregulated unless harmful consequences are proven as a result of use. Medications, on the other hand, are drugs that have been developed and tested through clinical trials. Medications are well tested to ensure that they perform as they are advertised, and ingredients and dosages are regulated by the FDA. Medications would likely be prescribed by your vet. What Are the Risks of Giving My Dog Supplements? Because supplements have not gone through rigorous clinical testing are unregulated, you need to watch out for potential risks. This lack of regulation can result in supplements with ingredients that are not proven to be effective, or even safe, as well as discrepancies between labels and actual ingredients. It is important to check with your veterinarian that your dog really does need supplements before feeding them to her. Although an excess of some vitamins, such as water-soluble vitamin C, is harmless (your dog will just pee out the excess), other vitamins, such as fat-soluble vitamins A and D, can build up in your pet’s body, potentially to harmful levels. Even organic or all-natural supplements have potential risks attached. Certain supplements can interact with medications, which could leave your dog with harmful consequences that are difficult to understand, and tricky to trace. Because of these risks, it is very important to consult with your vet before giving your dog supplements and to follow veterinary recommendations of certain trusted supplements or brands. Which Senior Dog Vitamins and Supplements Should I Consider? Other Notes: Pet MD products are made in the USA, certified safe by an independent lab, and come with veterinary recommendations. Common Uses: Targeted specifically for joint pain or stiffness and symptoms of arthritis. It contains Glucosamine & Chondroitin. Other Notes: Made in the USA in an FDA registered facility, quality certified by an independent lab. Common Uses: Formulated specifically for senior dogs with joint pain or stiffness, these supplements contain glucosamine and chondroitin, as well as omegas to maintain joint flexibility and alleviate daily discomfort. Common Uses: Boosts energy levels and mobility as well as brain function. Possible Side Effects or Interactions: Do not use with blood thinners. Common Uses: Although this hemp oil is not specifically for older dogs, it reduces anxiety and can ease joint discomfort. Possible Side Effects or Interactions: It can interact with some prescription drugs, so consult your vet before use. Other Notes: Grown and made in the USA. Common Uses: These supplements are formulated to support the urinary tract and promote kidney and bladder health. Possible Side Effects or Interactions: Do not exceed the recommended dose. Common Uses: Provides omegas for skin and coat care, supports joint health. Possible Side Effects or Interactions: Hemp oil can interact with some prescription drugs, so consult your vet before use. 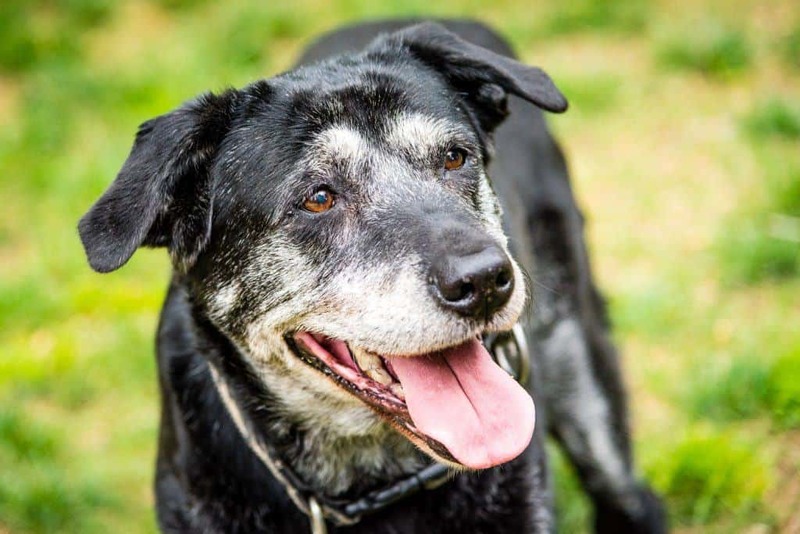 It is important for senior dog owners to remember that old age is not something that can be cured, although some of its symptoms can be eased to make life for your old friend a bit easier. First and foremost it is important to feed your dog a high-quality diet and provide her with appropriate exercise throughout her lifetime. As I mentioned above, most quality commercial dog foods are nutritionally complete, meaning your dog won’t need supplements. Don’t wait until old age to take these important steps for your dog’s health! 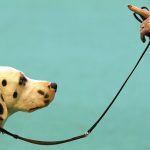 Additionally, continued, lifelong training can help keep your dog’s mind sharp and her body in good shape. For more specific and serious medical concerns, laser or ultrasound therapy is available for dogs and can help with scars and injuries, as well as inflammation, joint pain/stiffness, and arthritis. Acupuncture or massage therapy are other helpful options for dogs suffering from arthritis, back/disk pain, or muscle tension. Water therapy is a good option for water-loving dogs who are recovering from surgery or suffer from joint pain or stiffness. Whether he is swimming or on a water treadmill, gravity will not weigh as heavily on your dog’s bones and joints while he gets some much-needed exercise. As with supplements, always consult with your veterinarian and follow their recommendations before beginning any of these therapies. A specific diagnosis from your vet of the root problem behind any issues your elderly dog develops will allow you to follow the most effective path of treatment. For example, if your dog is moving stiffly, take him to the vet before buying hip & joint supplements. If it turns out he has arthritis or another serious condition, the best course of action is likely medications, rather than just supplements. Paying close attention to changes in your dog’s habits or movement as she ages is very important. 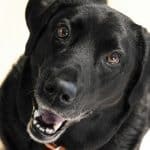 You know her best, so if you are on the lookout for signs that may require a vet visit, your dog will be able to quickly get the care she needs. 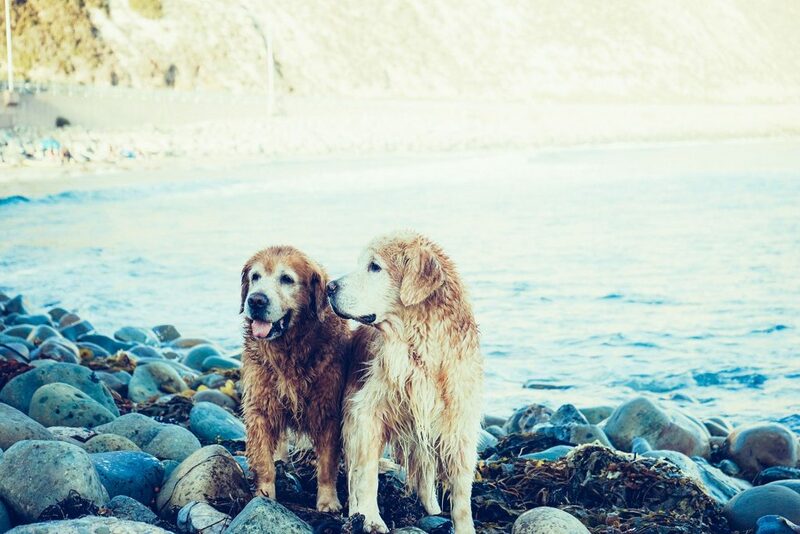 Combine that with excellent nutrition and exercise, and your dog will have the best chance possible for many long and comfortable golden years!